As I’m still working on many other fronts (hint, hint), I can’t work on music as much as I’d like, so instead I’m going to part the curtain inside the lab and tell you a little story and hopefully share a very basic composer’s trick. I just uploaded this unfinished track draft to Soundcloud. And various other, subtler, places. The only thing that remained from that first draft is the level complete jingle (its introduction), which is also reworked here and there under various guises throughout the soundtrack, but with a darker take. If you have played Psycho Starship Rampage, you might immediately think that the first draft doesn’t really suit the tone of the game, its fun, fast-paced action with somewhat dark overtones (you are, after all, playing a crazy AI hell-bent on a rampage). When I went to the team with that draft, we were on the very early stages of development, back when the game allowed for free moving (before we realised that gameplay didn’t work); many of the themes and atmospheres were not set in stone, we were very much exploring, so I was kind of trying things out as well. Their answer, however, was unanimous : errr… no. It’s too joyful. Too happy. Too upbeat. It was. But I believed in the melody and the idea of the track. So what happened? I had strayed too far in the realm of, erm, joy, by using a major scale in that draft. 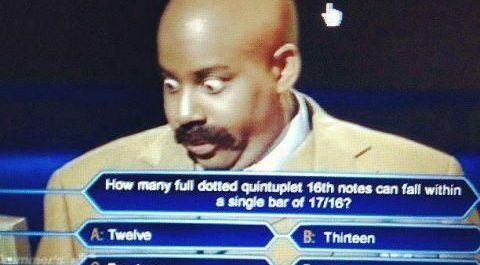 (To be very broad, major scales sound “happy”, minor scales sound “sad”.) 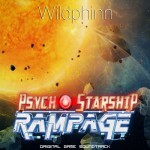 Overall, The Psycho Starship Rampage soundtrack is very much a play on opposites, as the game is, in a way. I endeavoured to evoke action and rhythm for the player, while retaining some ambiguity along the way – playing nostalgic melodies on major scales (like in Hero, Really? ), relying heavily on dissonance and diminished chords (Space Graveyard) and so on. With that first Mega Tribute draft, I had tried more upbeat, more action on a major scale, and… turns out that just didn’t work. It was going too far in that direction. The final version of Mega Tribute is, very simply put, roughly the same patterns, arranged differently, slowed down, and – that’s the very simple trick – played on a minor scale. 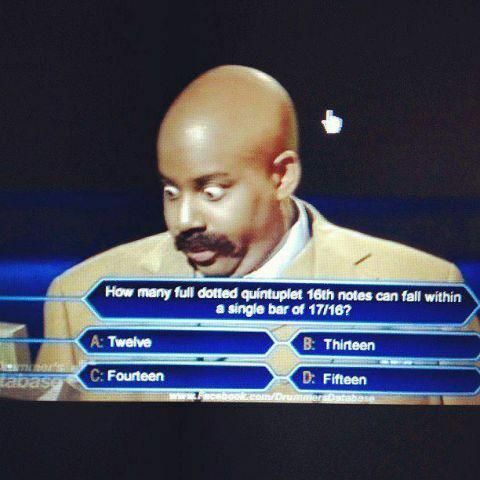 (That’s fundamental music theory here, I’m really not inventing anything, right? Just explainin’.) Same goes for Overture, and for all places where the theme appears. I only kept those five first seconds of that draft to make the level complete jingle, and that’s all that survives of the original track. However, I had fun sprinkling that theme as well, played in minor, here and there (Overture, Galaxy, Last Tribute). The scale and degrees just make an insane difference to the mood of a track – and it’s a very, very easy trick, possibly one of the oldest in the book. Hope you liked that little story about the composing process! It’s fun to reminisce for me too.